Clothing has been collected and exhibited by a variety of individuals and institutions. Already in the eighteenth century, Madame Tussaud of wax-museum fame, was acquiring and displaying the clothing of celebrities. Today, a wide variety of museums collect dress and textiles, including anthropological and ethnological museums, history museums, art museums, design museums, and specialized fashion and textile museums. In Paris, still the international capital of fashion, there are two important fashion museums: the Musée de la Mode et du Costume at the Palais Galliéra, which was formerly known as the Musée du Costume de la Ville de Paris, at 10 Avenue Piere-1er-de-Serbie in the 16th arrondisement; and the Musée de la Mode et du Textile at 107 Rue de Rivoli in the 1st arrondisement, which is affiliated with the Louvre. The former was founded in the 1920s and is funded by the city of Paris; it has been at its present location in the Galliéra since 1977. The latter opened its doors in 1986 and is more lavishly funded by the state. For simplicity's sake, we might refer to them, respectively, as the Galliéra and the Louvre. The Galliéra possesses an extensive collection of historical dress, while the Louvre is stronger in contemporary fashion. The Louvre also houses, but does not own, the collections of the Union Française des Arts du Costume. Among the Galliéra's best exhibitions was the late Guillaume Garnier's Paris Années Trentes (1987). Pamela Golbin, one of several curators at the Louvre's fashion museum, has organized innovative exhibitions, such as Lumière. The fashion designer Yves Saint Laurent is organizing his own museum in Paris. Elsewhere in France, the Textile Museum in Lyons has an important collection, while nearby Romans is home to a small shoe museum. In London, the most important collection of fashion belongs to The Victoria & Albert Museum, one of the world's most important museums of the applied arts. 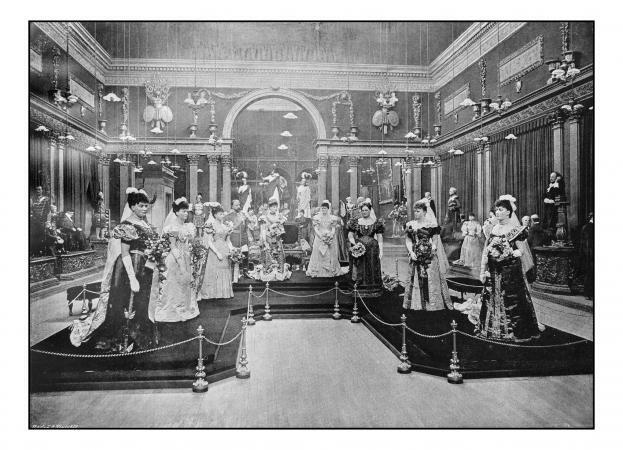 As early as 1913, The V&A exhibited eighteenth-century fashions. In the 1970s Cecil Beaton obtained many examples of high fashion for the museum. A permanent exhibition of historic costume, arranged chronologically, has been on display for many years in the costume gallery. In 1994, the V&A mounted an important exhibition, Streetstyle: From Sidewalk to Catwalk, curated by Amy de la Haye, which compared subcultural styles such as punk with high fashion. Another curator, Claire Wilcox, has organized Fashion in Motion, a monthly event that includes a live fashion show. Wilcox also curated the 2001 exhibition Radical Fashion. In 2002, after years of effort, the fashion and textile designer Zandra Rhodes opened the Museum of Fashion and Textiles in London. Judith Clark's tiny eponymous gallery has also presented innovative fashion exhibitions. Elsewhere in Great Britain, there are a number of other fashion museums, which were founded by individual collectors. For example, Dr. and Mrs. C. Willett Cunnington created the Gallery of English Costume in Manchester, and Mrs. Doris Langley Moore created the Museum of Costume in Bath. Mrs. Hélène Alexander founded the Fan Museum in Greenwich. Oddly enough, there exists no full-scale fashion museum in Italy, although the Galleria del Costume in the Palazzo Pitti (Florence) has a significant collection and mounts occasional exhibitions. There are also a number of private collections in Italy, such as that of Enrico Quinto in Rome. Many fashion designers have their own archives, as well. In the United States, many art museums have important costume collections. The most famous is the Costume Institute of the Metropolitan Museum of Art in New York City. Diana Vreeland, formerly editor-in-chief at Vogue, became Special Consultant to the Costume Institute in 1972. She organized more than a dozen exhibitions on themes such as the The 18th-Century Woman (1981), Romantic and Glamorous Hollywood Design (1974), and Yves Saint Laurent (1983). Although subject to criticism on the grounds of commercialism and historical inaccuracy, Mrs. Vreeland's shows were undeniably glamorous, and they succeeded in abolishing the aura of antiquarianism that had previously surrounded most "costume" exhibitions. The Museum at the Fashion Institute of Technology is the only museum in New York dedicated primarily to fashion. It owns some 50,000 examples of clothing and accessories, with their greatest strength in modern and contemporary fashion. Richard Martin and Harold Koda organized a number of important exhibitions at FIT, including Fashion and Surrealism (1987), before they moved uptown to the Costume Institute. Martin's premature death in 1999 at the age of 52 robbed the field of a brilliant intelligence. In 1997 Valerie Steele became chief curator of the Museum at FIT. Among her many exhibitions are The Corset: Fashioning the Body (2000), Femme Fatale: Fashion and Visual Culture in Fin-de-Siècle France (2002), and London Fashion (2001), which received the first Richard Martin Award from the Costume Society of America. The Brooklyn Museum of Art also has impressive holdings in fashion and has mounted exhibitions, such as The Genius of Charles James (1982). The Museum of the City of New York has another important collection, which focuses on clothing made and/or worn in the metropolis. It is especially strong in fashions of the Gilded Age and in theatrical costumes. Other North American museums with important fashion collections include the Boston Museum of Fine Arts, the Los Angeles Museum of Art, and the Royal Ontario Museum. The Kyoto Costume Institute is a private museum in Japan founded by the Wacoal Company, which manufactures foundation garments. The chief curator, Akiko Fukai, has organized a number of important exhibitions, including Japonism Fashion (1994), which has traveled to museums worldwide. Fashion museums have recently been opened or are planned in many places around the world, including Belgium (the Moda Museum in Antwerp, curated by Linda Loppe), Chile, and Goa. See also Belgian Fashion; C. Willett and Phillis Cunnington; Fashion Education; Japonisme; Doris Langley Moore; Zandra Rhodes; Yves Saint Laurent; Diana Vreeland. Ribiero, Aileen. 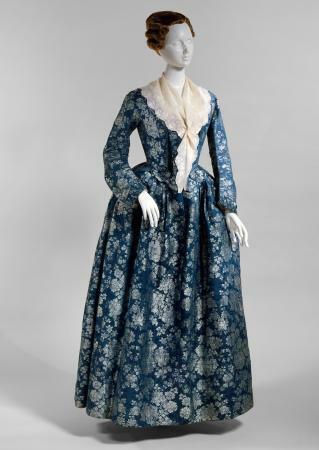 "Re-Fashioning Art: Some Visual Approaches to the Study of the History of Dress." Fashion Theory 2, no. 4 (December, 1998). Steele, Valerie. "A Museum of Fashion Is More than a Clothes-Bag." Fashion Theory 2, no. 4 (December, 1998). Taylor, Lou. "Doing the Laundry? A Reassessment of Object-Based Dress History." Fashion Theory 2, no. 4 (December, 1998).